‘ambient light’ highlights the unique natural ambience of the millennium park waterfront, where sky meets water and the horizon illuminates in just the right way. 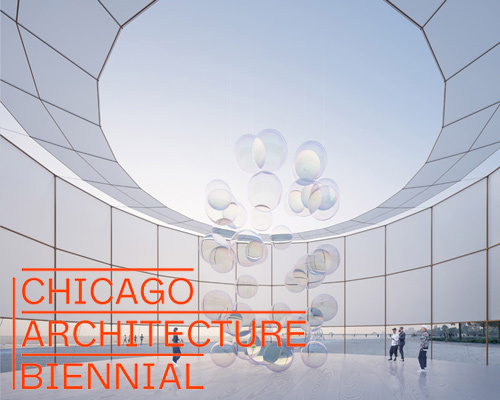 created by architect guillaume mazars, the chicago architecture biennial kiosk proposal was awarded an honorable mention in the competition — now completed, results here. 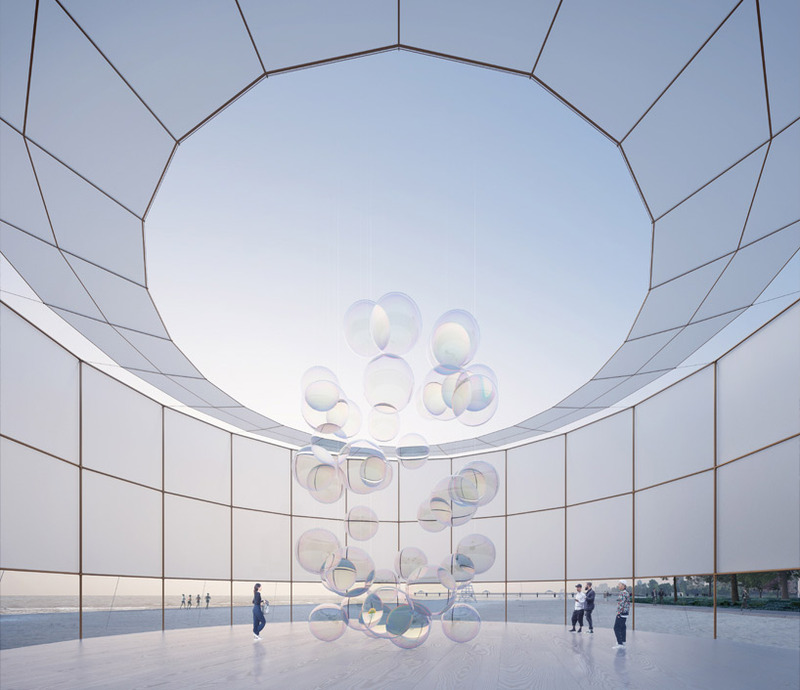 the project aims to emphasize the lighting environment present at the waterfront, focusing views and drawing visitors into the moment. 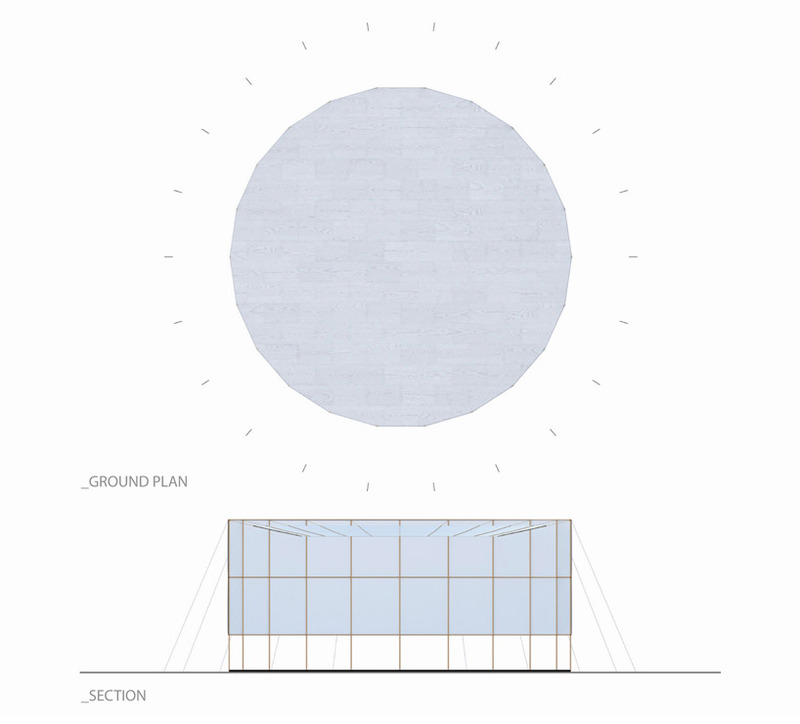 a translucent fabric filter surrounds the entire raised piazza, which diffuses the light to a minimal colored glow. 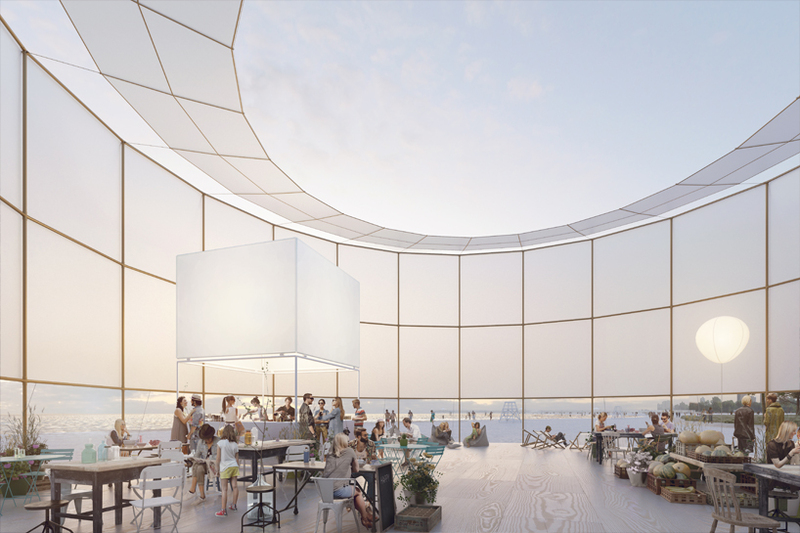 its positioning forces visitors inside to only look at the horizon line, seen from beneath the fabric, and the direct sky, seen from a large skylight in the direct center. ‘ambient light’ is highly versatile, and besides its use as an info kiosk, can be turned into a market, café, cinema, or exhibition space. 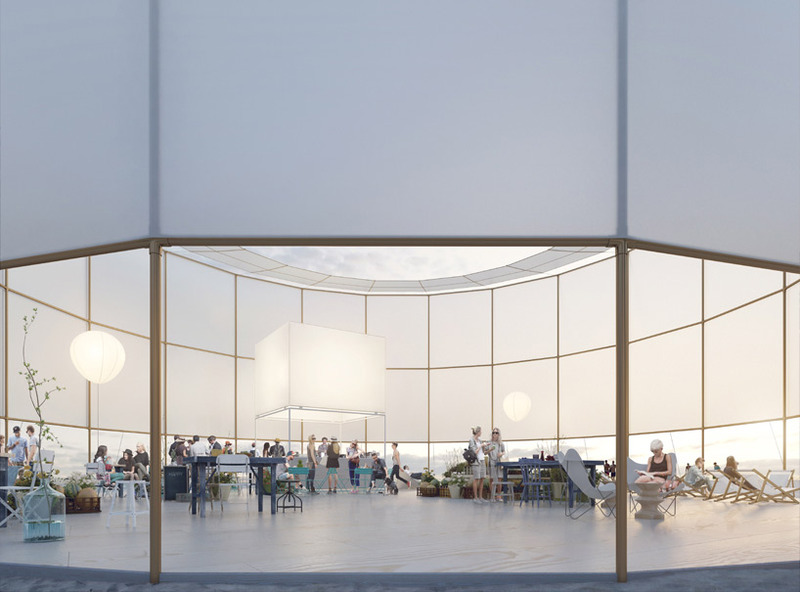 the structure is made of steel tubing, with fabric cable and screen. 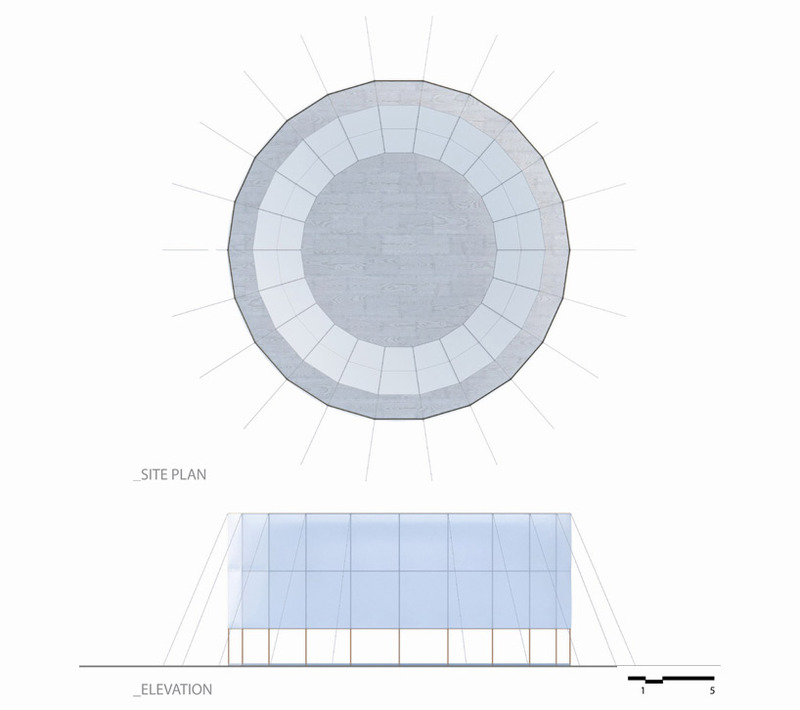 materials were chosen, in part, for their significance within the nautical world. 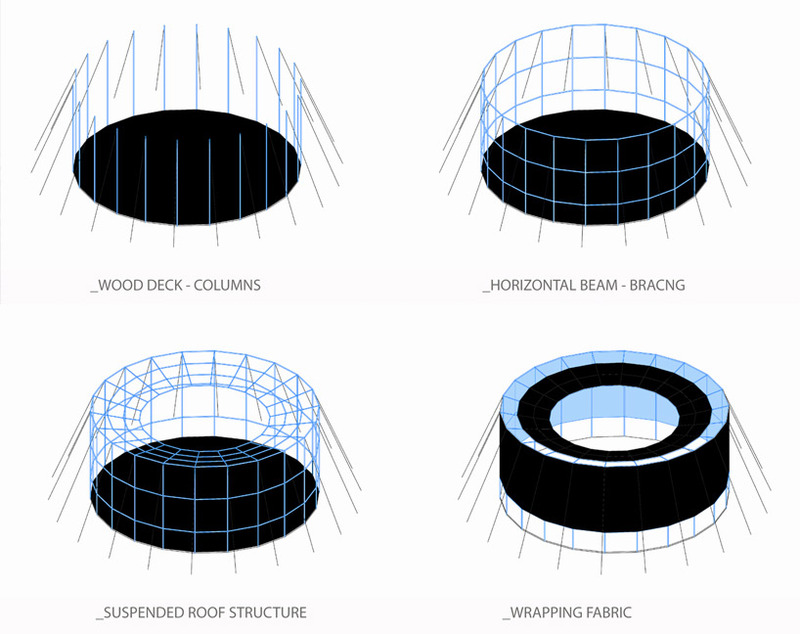 its easy to draw comparisons from the structure to sails, kites, and other maritime staples.